Bearcat Senior Band Beats Old Record at High School All-Region! Once again, Bearcat Band students step up, this time at the high school level! 11 Bearcats were selected to High School All-Region and 1 was selected to alternate on her instrument. In addition, 4 students will definitely be auditioning for All-State, with 1 other student being "on-call" for auditions. Auditions for Senior Region are run the same as they are for Junior High (where Bearcats shattered the precious record), but the music is of a higher difficulty level. Region clinic for Junior and Senior Student will be Friday and Saturday, January 23-24, at Arkansas State University in Jonesboro. Concerts are open to the public on Saturday at 2:00 p.m. for free at the ASU Fowler Center. 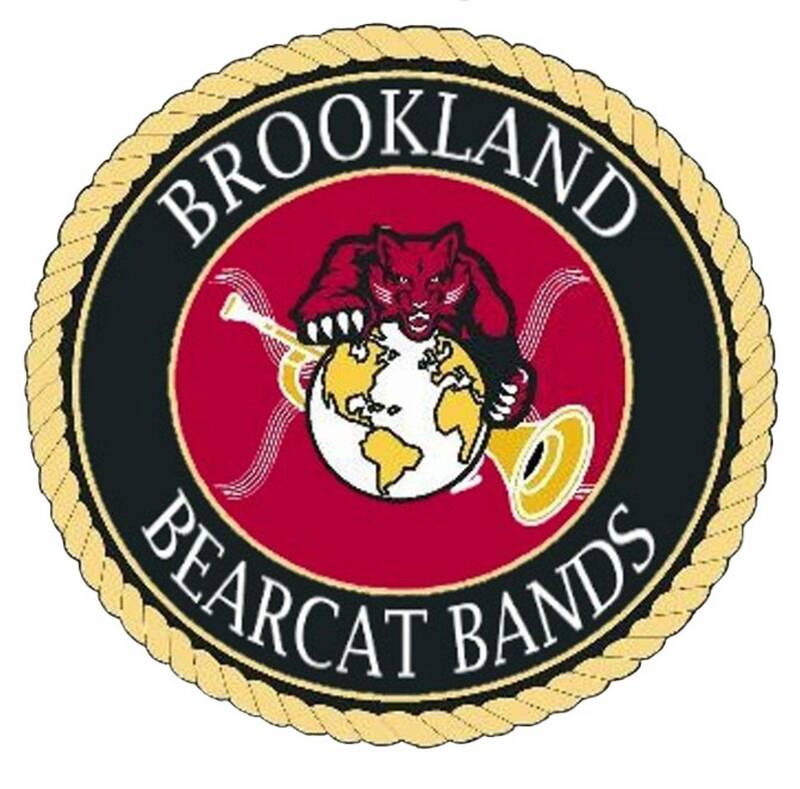 The Brookland Bearcat Band boasts the highest number of Junior High All-Region Band Members in school history - sixteen. The students auditioned on Saturday, December 6, at Paragould Jr. High. The auditions involved performing 3 pieces that they had been preparing since September, scales, and performing a short piece of music they had never seen with only 20 seconds to look over it. They competed against over 700 students from schools in Clay, Greene, Craighead, MIssissippi, Lawrence, Randolph, Poinsett, Fulton, Izard, Independence, Sharp, and Jackson counties. These students will be performing a public concert in January, at Arkansas State University. Statistics: Brookland had 16 students selected, placing 6th over-all; Brookland placed 3rd in number of students making 1st Band; and tied for 2nd on number of students earning 1st Chair. On Tuesday, February 10, 2015, 10th - 12th grade members of the Brookland Band travelled to Riverview High School in Searcy to compete with students from other schools with AAA or smaller ASBOA classifications for postitions in the ASBA Honor Band. These students will be travelling to Pangburn in April to perform in a concert band made up of students from Brookland and the other schools. The Honor Band will be conducted this year by noted clinician and composer Robert Sheldon. Information on the auditions and the clinic in April can be found at arkansassmallbandassociation.webs.com. Students selected were: Brent Cochran - 4th Flute; Blake Martinez - Oboe; Ethan Nelms - Bassoon; Dylan Lane - 3rd clarinet; Allison Brown - 7th Clarinet; Tyler Weaver - 23 Clarinet; Dylan Wallis - 25th Clarinet; Trevor Belyew - 2nd Bass Clarinet; Chris Morgan - 2nd Alto Sax; Olivia Langner - 7th Horn; Katelyn Ratley - 2nd Trombone; and Alex Turner - 12th Percussion. Once again, the 2014-2015 Brookland Band students set a record for the number of students seleted to Honor Band. Congratulations to all who made it! On Friday, March 13, 2015, the Bearcat High School band travelled to Jonesboro High School to perform music they had been working on for the past several weeks and be assessed on that music by a panel of band directors who assessed and rated that performance. While the Bearcat Band is only required to play at least one grade level 2 (1 is easiest, 6 is hardest) or harder piece and one of any difficulty level (including easier), Mr. Hogard elected to perform a grade 3 and a grade 2, making this the toughest assessment selections Brookland has attempted in his 7 years as band director. To make matters even tougher, the grade 3, Cajun Folk Songs, by Frank Ticheli is listed as a grade 4 in at least 8 other states and by the publisher. Our second piece, Rites of Tamburo by Robert W. Smith is clasified as a grade 2. The judges assessed the band on style, musicianship, stage presence, tone, intonation, tuning, as well as getting the correct notes and rhythms and assessed the band at a rating of II (2) on rating scale where Roman numeral I is best and Roman numeral V is lowest. Mr. Hogard was very proud of that rating, noting that not many bands would take a small band of 47 players, with only 4 seniors and 6 juniors to assessment and play music that hard. The band continued a tradition begun last year of earning a I in Sight-Reading (judged by Mark Tenney). Mr. Hogard said his proudest moment all year came when two of his students asked about how to perform the style of the piece. Never in his career has this happened in the sight reading room. The 6 Brookland students who were selected to the 2013 ASBA Honor Band - Megan Espy, Allison Brown, Rachel Stewart, Trevor Belyew, Jacob Perkins and Daniel Baxter - performed a concert on April 6th, in Atkins, Arkansas, with approximately 110 other Arkansas students. The Honor Band was conducted by Joe Trusty of Cabot High School. The band performed 5 pieces, including Music of Earth Wind and Fire, arranged by Richard Saucedo; Grace by Randall Standridge; Lincoln Variations by William Harbison; and Rise and Shine march by Donald Moore. On Tuesday, February 5, 13 students travelled to Riverview High School, located just off the interstate in Searcy. These students auditioned against other students from across the state for the opportunity to perform in the Arkansas Small School Honor Band concert in early April in Atkins, Arkansas. Students were required to perform sections of two pieces of music they had been studying since September, 2 scales that had to be memorized and sight-read a short piece of music they had never seen before. They were judged by two hidden judges who then scored and ranked them against other students who played the same instrument and took the top players into the Honor Band. Students selected were Jacob Perkins (1st Chair, Bari-sax), Daniel Baxter (2nd chair, French Horn), Trevor Belyew (3rd chair Bass Clarinet), Megan Espy (6th Chair Flute), Allison Brown (6th Chair Clarinet), Rachel Stewart (11th Chair, Clarinet), and Tristan Skaggs (Alternate, Tenor Sax). UPDATE: These students will be leaving school on April 5 for rehearsals in Atkins that evening and on the morning of April 6th. They will perform a concert on April 6th, at 2:30, at the Atkins High School Auditorium. Parents and families are invited to attend this free concert. Trevor Belyew, 10th grade, will be auditioning on Bass Clarinet in Russellville, on Saturday, February 2, 2013. He qualified for this honor by scoring in the top 4 at All-Region auditions in January. Megan Espy, Senior Flute Player, may get to audition, having earned an alternate audition spot if someone cancels. Update: Both students auditioned and, while they both scored well, neither was selected for All-State. They attended a clinic January 17-18, 2013 at Arkansas State University's Fowler Center and presented a concert on Saturday afternoon.